The Maidens mountain range in Equitaine may be a reference to the Massif Central of France, moved up northwest and stretching into the equivalent of Brittany. At a guess, the Maidens from foothills to mountain tops may harbour settled Equitainians and human brigands alike, as well as monsters in general, Greenskin highlanders and some minor Dwarven Holds (because it would be a wasted opportunity to not have some living Dwarven presence here, aside from ruined overrun Holds). As to Dwarves, let's take these mountains as an open invitation to propose that the most Celtic-based of Vetian Dwarves live in the Maidens, and possibly the Dwarves of the Maidens could be the closest link in the occassional and fragile contact between Vetian and the Northern Dwarves. The Dwarves of the Maidens, being peripheral compared to the Dwarrows of the White Mountains, would not be a particularly strong driving force in the Vetian Dwarves' innovations and scientific discoveries, though they would fully partake of this culture of shared knowledge and technology, and their arsenal would essentially be the same. The aesthetic style and dialect, however, would be distinct. 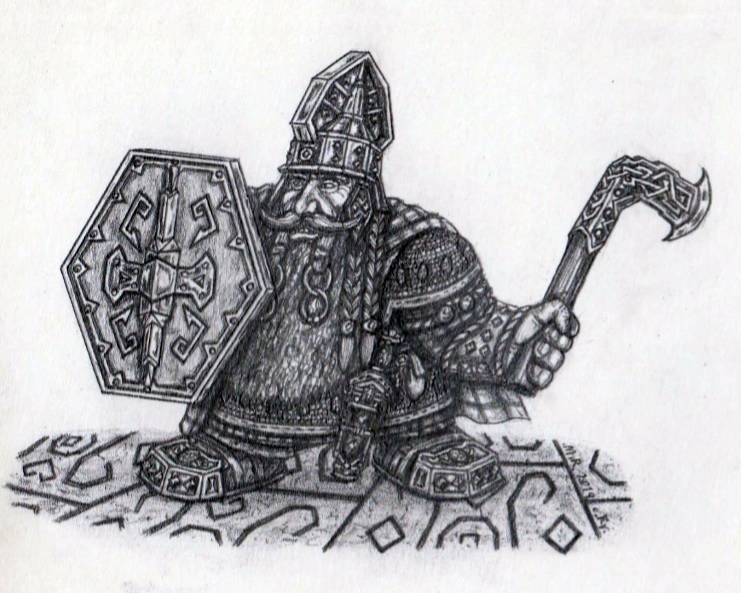 Please share your ideas, comments and criticism for this quick Dwarven culture proposal.